Chang Lee Yun (b. 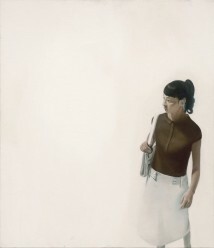 1978, Korea) Owns a BFA and MFA from the Hongik University, Seoul. Participated in group exhibitions in Korea and in Israel including the 2008 “Korea Now” exhibition sponsored by Artlink and Sotheby’s in Tel-Aviv. In addition to painting, Lee designs furniture.